Speyburn Distillery has extended its range with the launch of an 18-year-old single malt to celebrate distillery manager Bobby Anderson. The first annual release of Speyburn 18 Years Old will be dedicated to Anderson, who celebrated his 18th year at the Speyside site in 2018. Since joining Speyburn Distillery in 2010, Anderson has helped to increase yearly production from one million litres of alcohol to 4.5m and extend the Speyburn portfolio from two malts within the core range to seven, with further limited editions frequently being released. 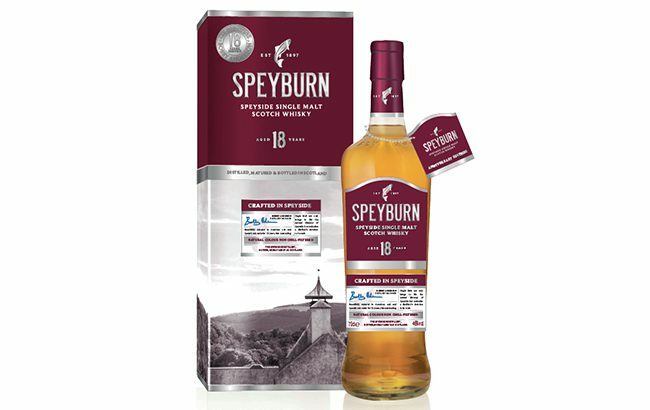 Speyburn 18 Years Old Anniversary Edition has been matured for 18 years in American and Spanish oak casks. It has been made using fresh spring water from the Granty Burn stream. The expression is limited to only 1,500 cases (9,000 bottles) globally per year. On the nose, the expression has notes of sweet toffee, sugared almonds and tropical fruit. The palate is noted as having hints of cream dark chocolate, toffee and a gentle oak spiciness. Each carton will feature a commemorative medallion and bespoke neck tag. Gillian Gibson, brand manager at International Beverage, said: ”Bobby has done, and continues to do, incredible things for the distillery. “Since his appointment, he’s played an instrumental role in the business’ growth and development of Speyburn. Speyburn 18 Years Old Anniversary Edition has an RRP of £85 (US$111.76) and is available to buy from independent and specialist retailers.